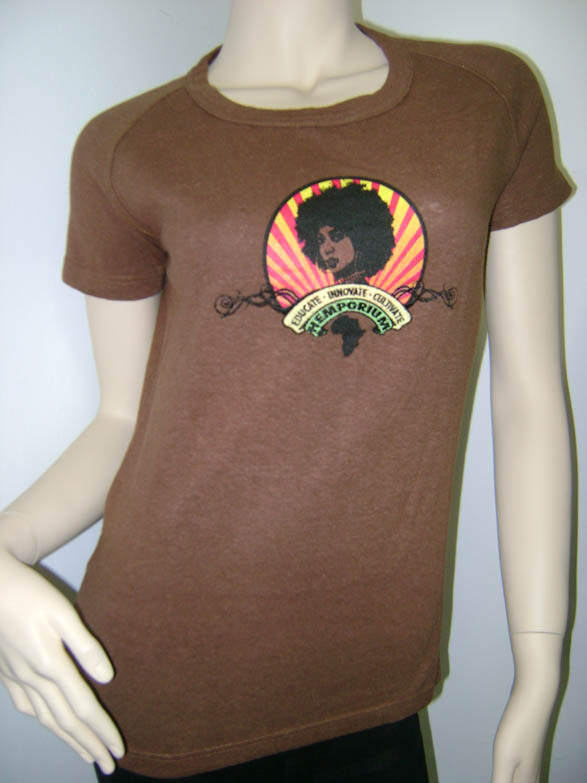 A ladies, Africa print, crew neck t-shirt. Made with a 55% hemp, 45% cotton blend, this medium weight crew neck t-shirt is ideal for the change of seasons. Sporting an Africa design with embroidery, this environmentally friendly t-shirt is the perfect way to say how much you care about the planet. Sizes: XS(8-10), S(10-12), M(12-14), L(14-16), XL(16-18).